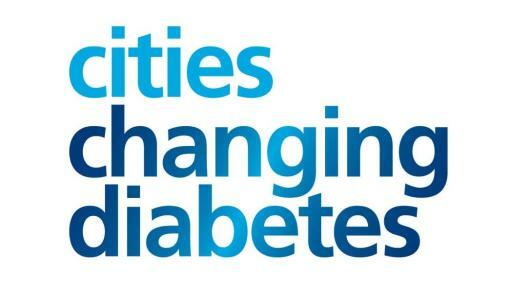 An international coalition of cities is calling for an ambitious global goal to prevent more than 100 million new cases of diabetes by 2045. 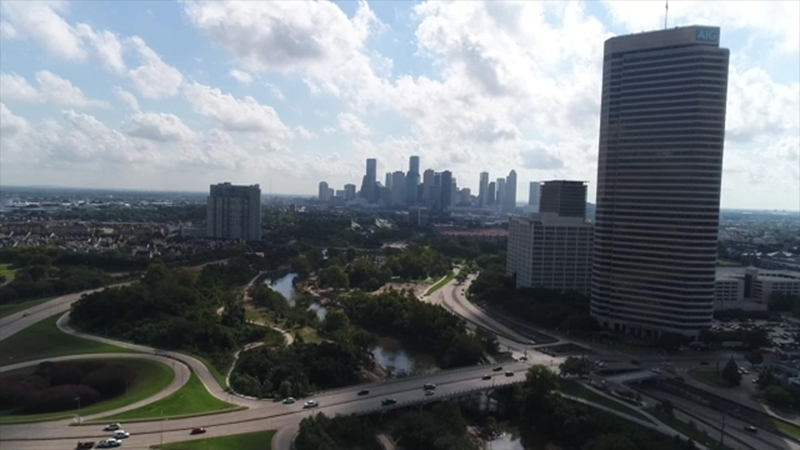 The target is set out alongside new research in a report launched today by the Cities Changing Diabetes partnership at a global summit in Houston, Texas. The report comes with the stark warning that achieving the goal requires cutting rates of obesity by a quarter. Cases of diabetes are accelerating in every part of the world meaning that today, one in 11 adults live with the condition.1 The report – Bending the Curve on Urban Diabetes – urges governments, city and health leaders to make changing the trajectory of the disease a top global priority in order to ‘bend the rising curve’ of diabetes prevalence. The impact of diabetes at this scale would be tragic for individuals, families, health systems and economies. As a consequence, annual diabetes-related health expenditure would spiral to more than 1 trillion US dollars in 2045, up from 775 billion US dollars today, an increase of over 39%.1 And that is a conservative estimate. The Cities Changing Diabetes programme was co-founded by Novo Nordisk, University College London and the Steno Diabetes Center Copenhagen. The partnership comprises nine global city partners - Copenhagen, Houston, Johannesburg, Mexico City, Rome, Shanghai, Tianjin, Vancouver and Xiamen – together representing 75 million citizens – to pioneer new approaches to map the challenge, understand the areas of greatest risk and vulnerability, and design interventions that are delivering real impact. 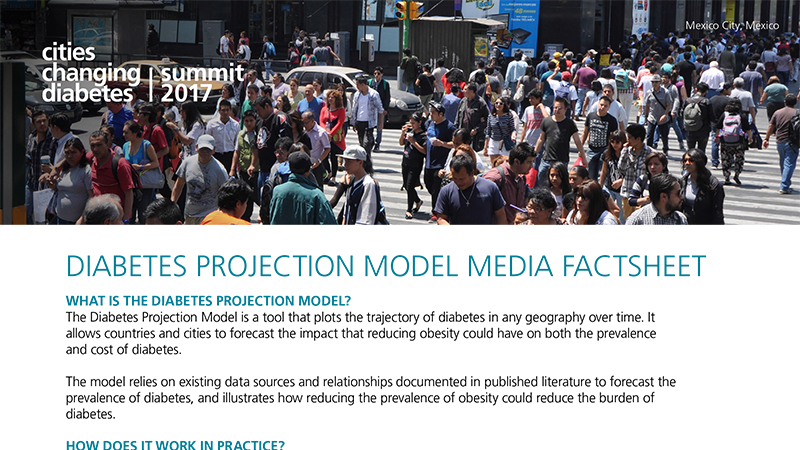 Programme researchers are today releasing their findings alongside a bespoke projection tool at the Cities Changing Diabetes Summit in Houston, Texas. The tool enables individual cities to quickly and reliably assess the scale of their local diabetes and obesity challenge to guide future action. 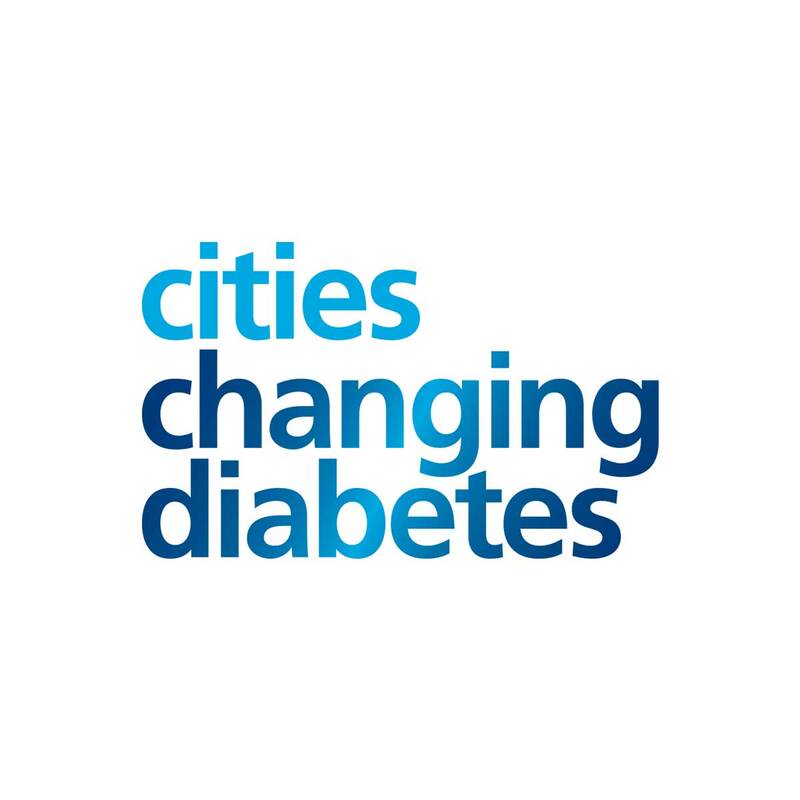 Furthermore, for the first time, the Cities Changing Diabetes programme will make publicly available the most innovative and effective approaches from pioneer cities around the world. 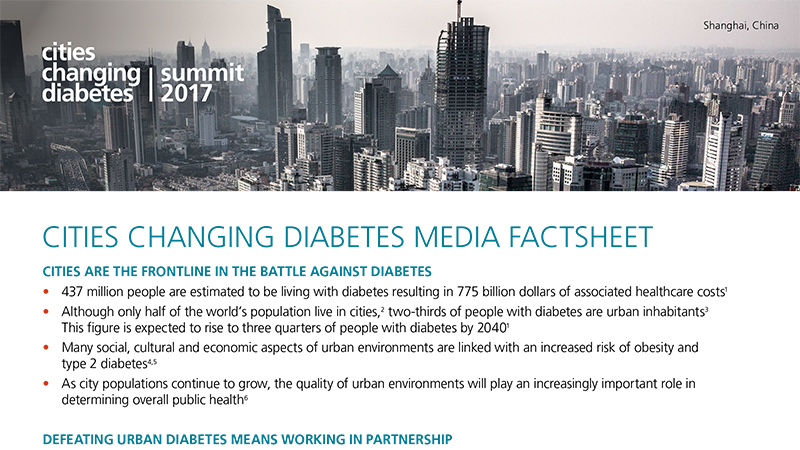 The ‘Urban Diabetes Toolbox’ arms city and health leaders in any city to create their own action plan to tackle urban diabetes and obesity. Cities Changing Diabetes is a partnership programme to address the urban diabetes challenge. 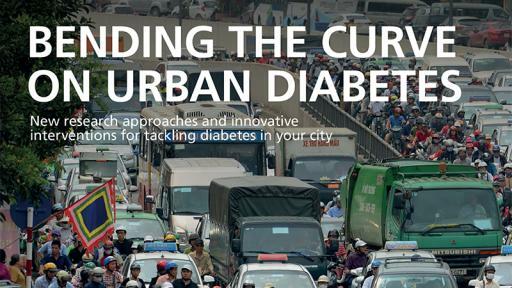 Initiated by Novo Nordisk, the programme is a response to the dramatic rise of urban diabetes and has been developed in partnership with University College London and Steno Diabetes Center Copenhagen, as well as a range of local partners including the diabetes/health community, city governments, academic institutions, city experts (from a variety of fields) and civil society organisations. 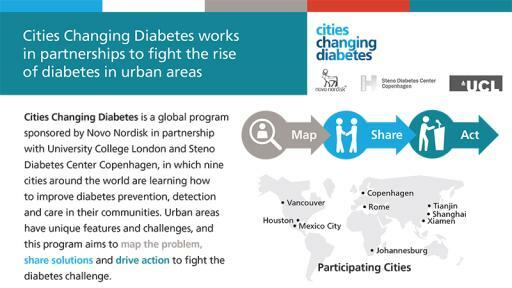 The aim of the programme is to map the problem, share solutions and drive concrete action to fight the diabetes challenge in the big cities around the world. Today, the programme represents 75 million citizens in nine cities worldwide: Copenhagen, Houston, Mexico City, Johannesburg, Rome, Tianjin, Shanghai, Vancouver and Xiamen. 1. 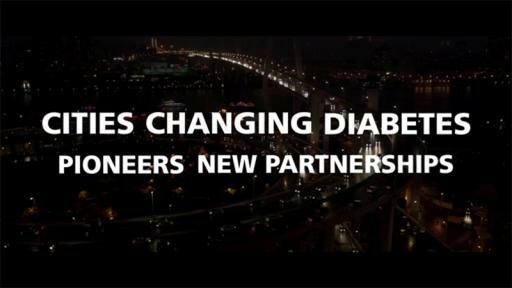 Cities Changing Diabetes. 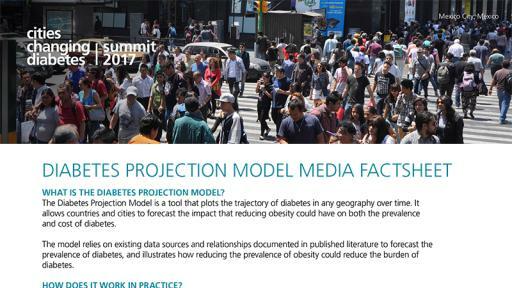 Diabetes Projection Model, Global. Data on file. Novo Nordisk. In: Incentive, ed. Holte, Denmark; 2017. 2. World Health Organization. Global report on diabetes, Geneva, Switzerland: World Health Organization; 2016. 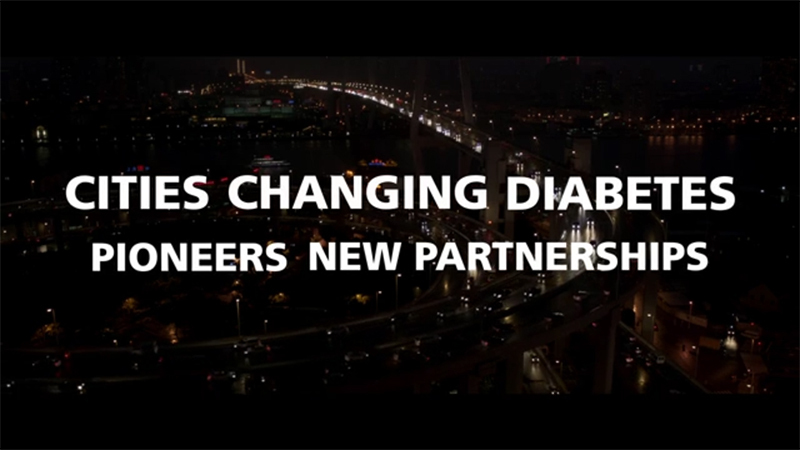 3. International Diabetes Federation. IDF Diabetes Atlas, 7 ed. Brussels, Belgium: International Diabetes Federation; 2015.